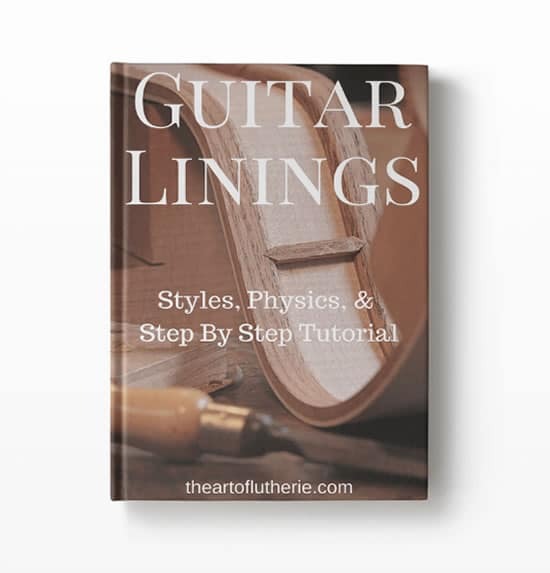 In the 53 page eBook, “Guitar Linings: Styles, Physics, & Tutorial” master luthier Tom Bills shares his real world experiences with many different types of guitar linings and reveals his time tested approach to using and making solid guitar linings for his own guitars. The different types of linings are discussed and the structural and tonal effects of each on the guitar system to help you choose which style is right for your guitars. 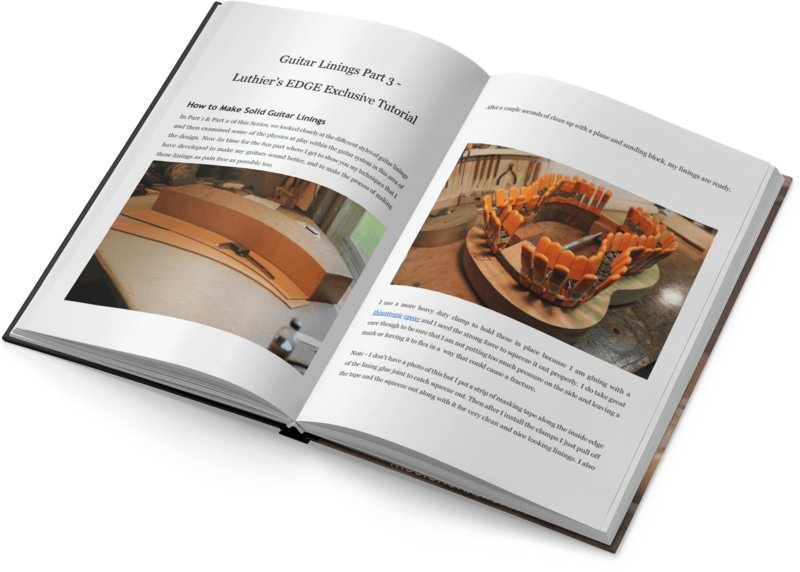 This exclusive ebook also contains a detailed photo tutorial showing each step Tom takes to make his solid guitar linings and thoroughly covers the tools material, adhesives, and more, that he uses to optimize the process of making the linings and the responsiveness of his guitars.